Nelson City Council Commit to 100% Renewable Kootenays motion! Nelson City Council voted unanimously to support the 100% Renewable Kootenays initiative and commit to deriving 100% of its net energy from renewable sources by 2050. 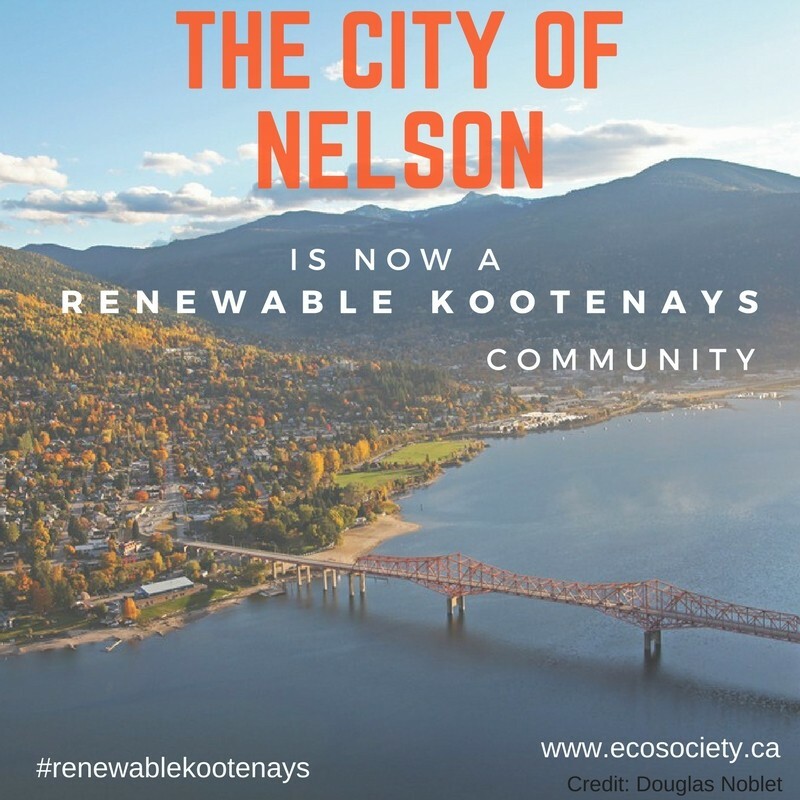 Since 2016, The 100% Renewable Kootenays initiative has been gaining traction in Nelson with hundreds of volunteers getting involved along the way and nearly 1/3 residents within the community signing their names to the petition calling on Nelson City Council to commit to a 2050 100% renewable energy goal. We thank all the City Councillors, Mayor Kozak and City staff for demonstrating true climate leadership and we look forward to supporting the community as we move forward!